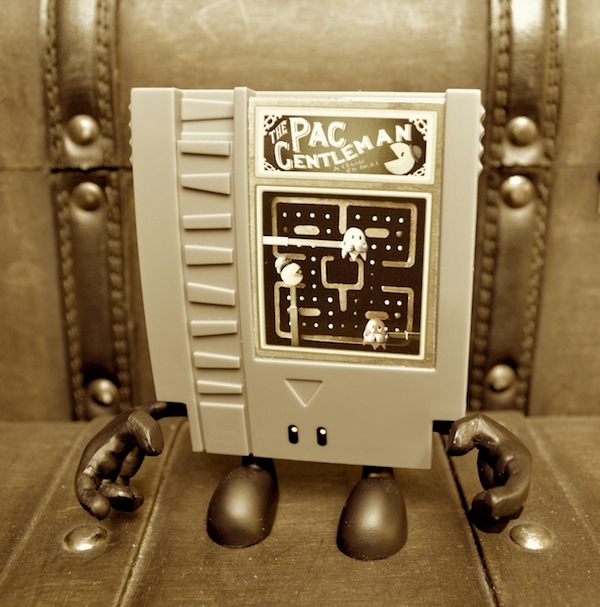 That’s Pac GENTLEMAN to you sir! 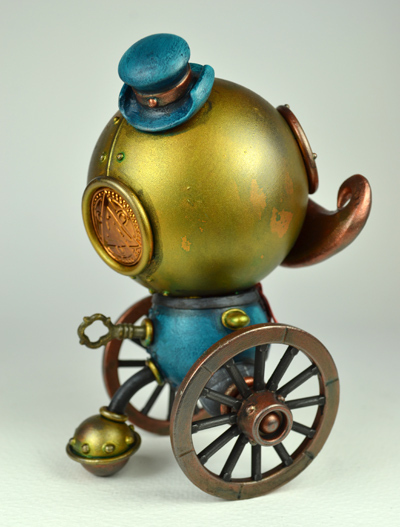 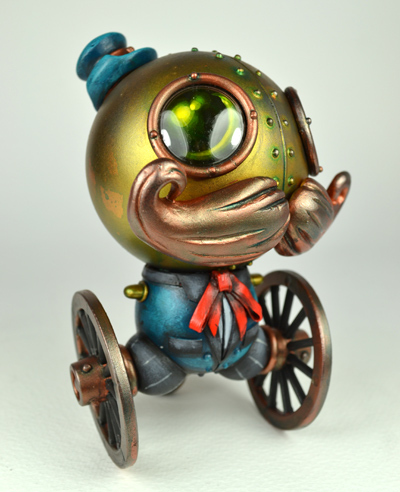 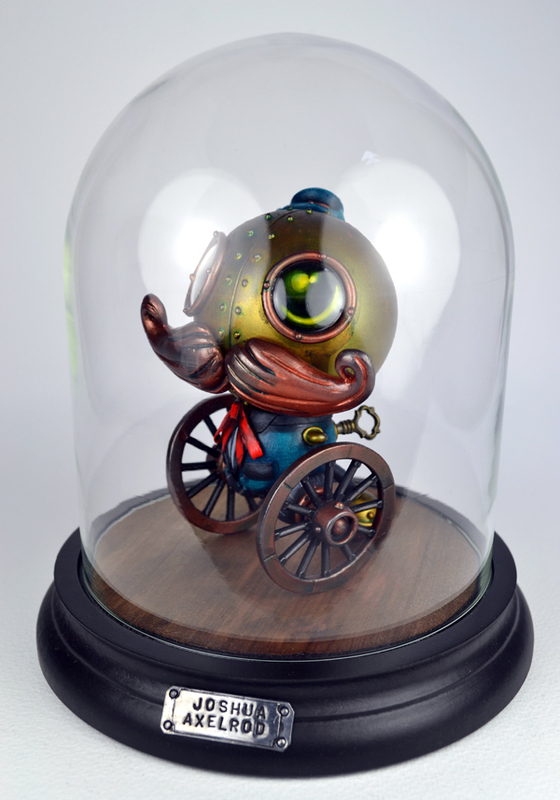 The Pac Gentleman “10 Doh” blindboxed mini figure, new from Squid Kids Ink.. 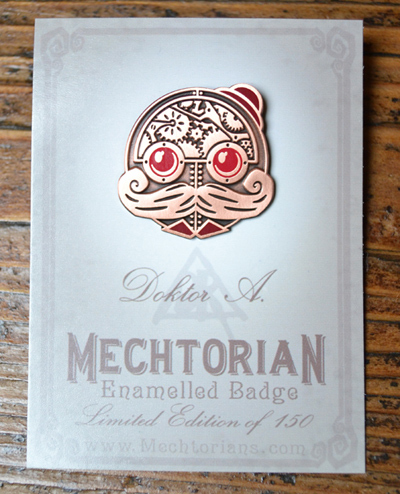 Launching at San Diego Comic Con 2012..
Mechtorian Enamel badge of the month number 10 will go on slae on Thursday July 5th. 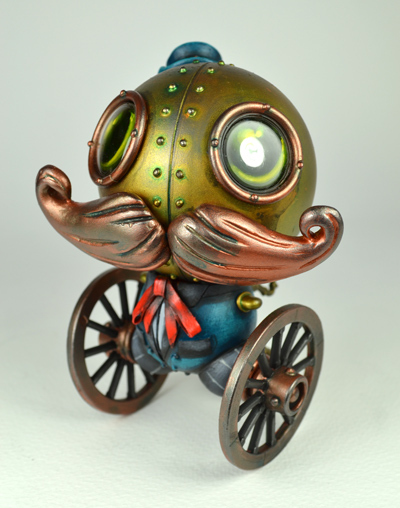 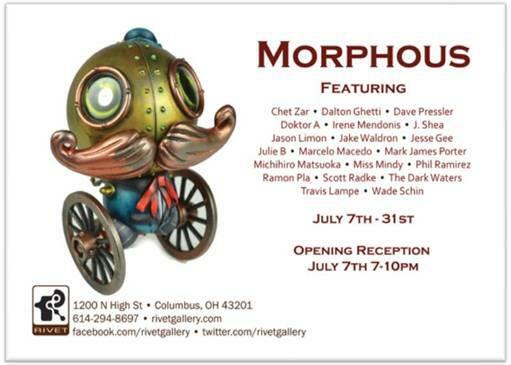 This time it is an antiqued Copper version of Ed Geers, with blood red eyes and deep red details.